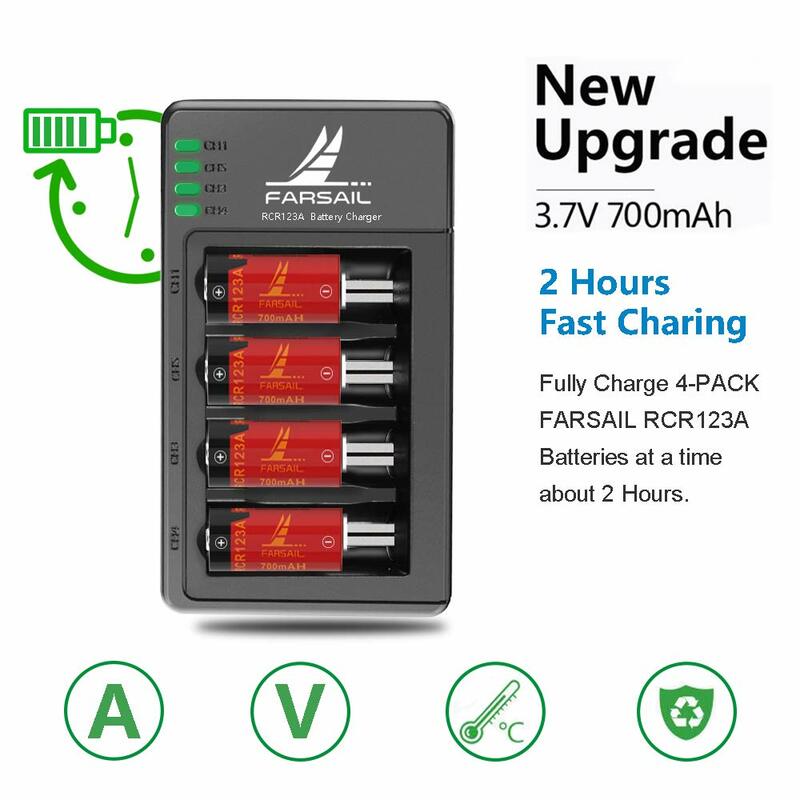 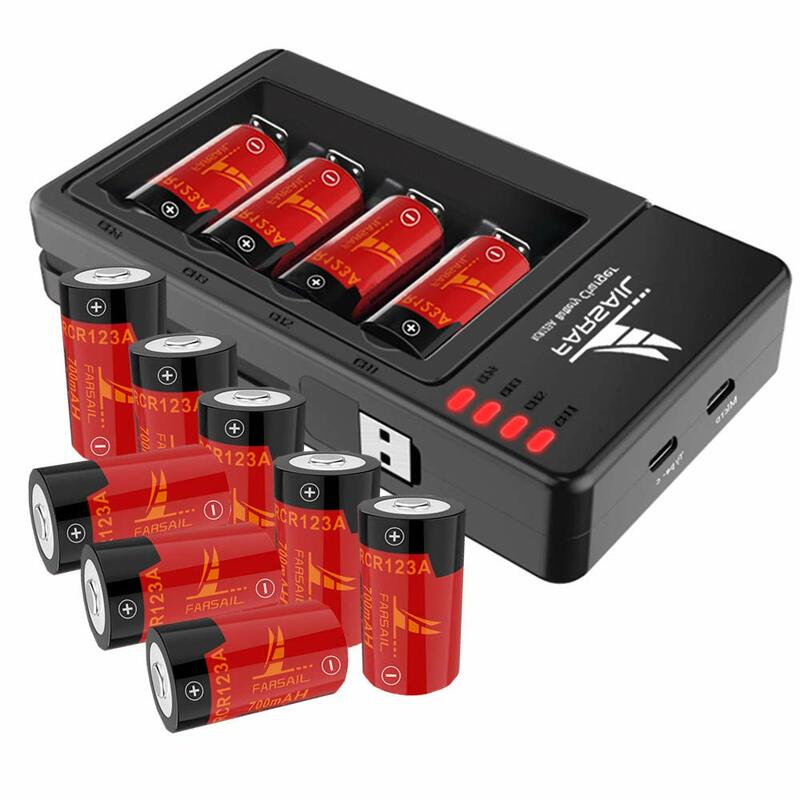 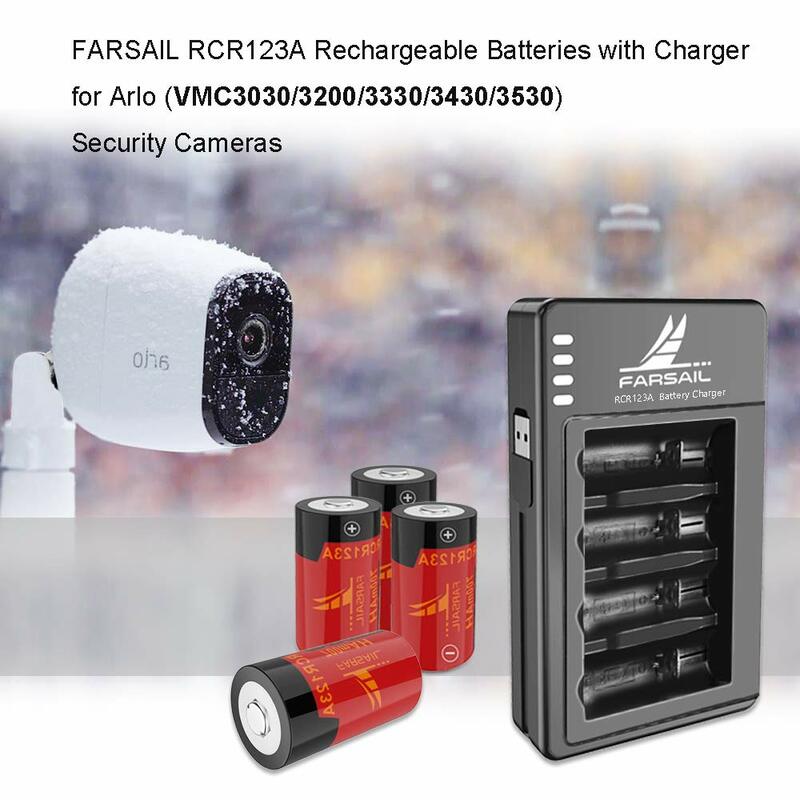 High Performance – Charge 4 batteries simultaneously, each of the four batteries monitors and charges independently. 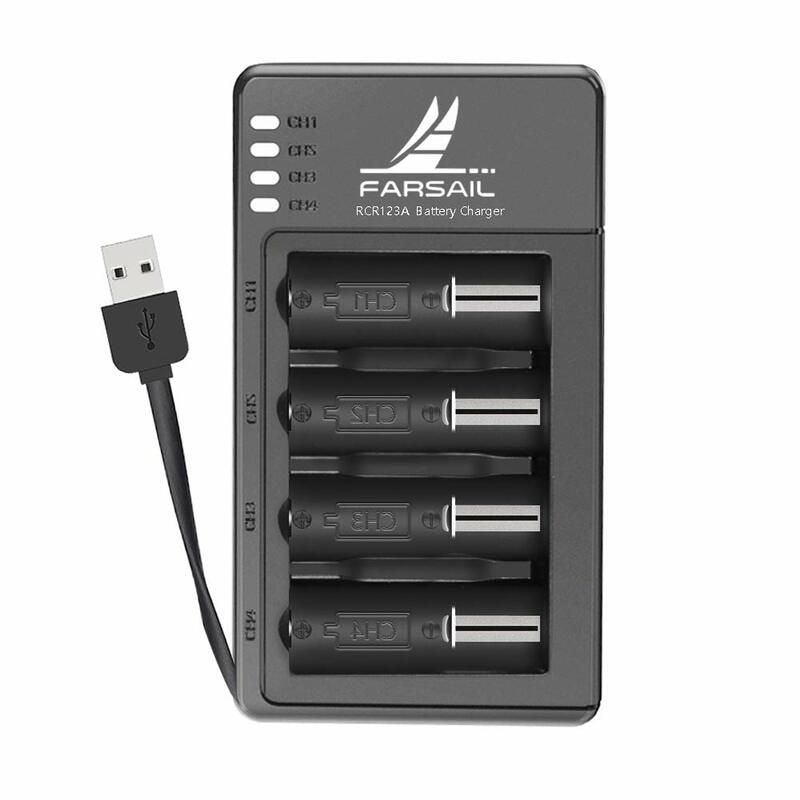 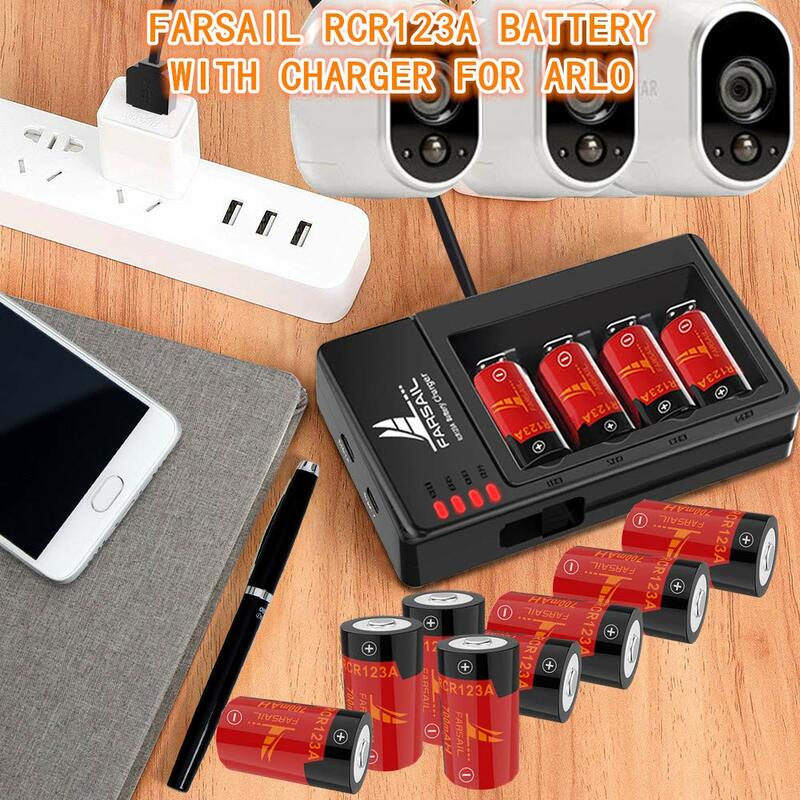 Built in USB Cable – This lightweight and compact battery charger features a built-in USB charging input that stows away in a designated secure trough to save space and prevent damage. 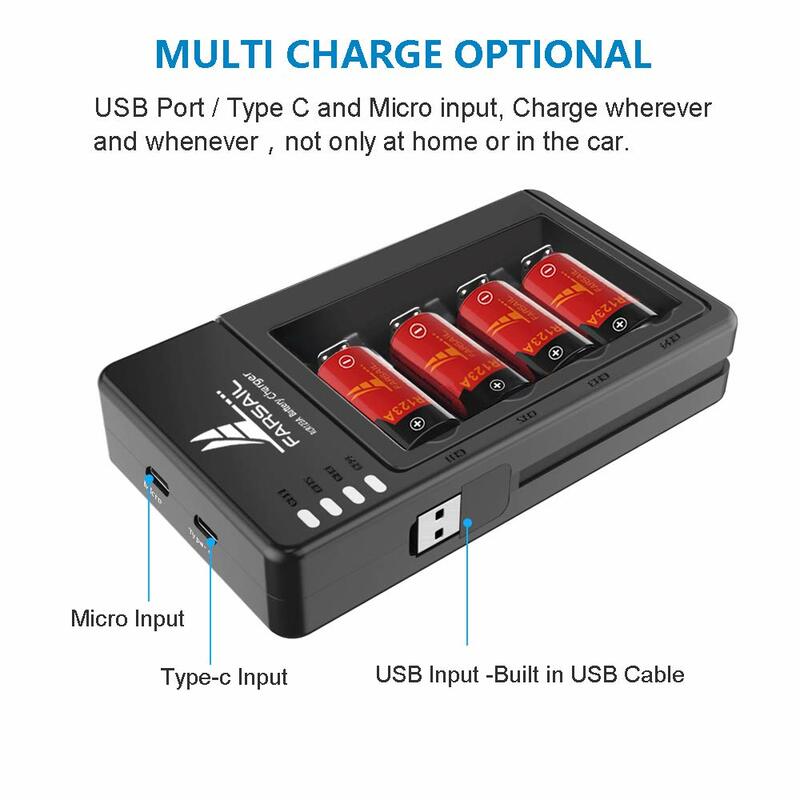 The charger can be charged by power bank, wall charger and other USB devices. 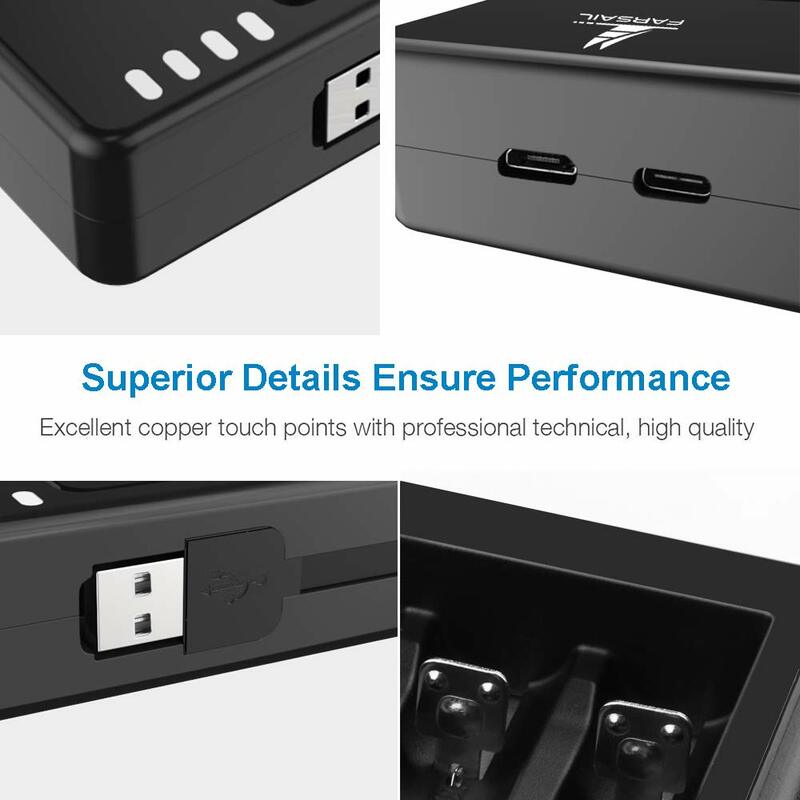 Every order is backed by a one-year, no questions asked warranty for quality and satisfaction. 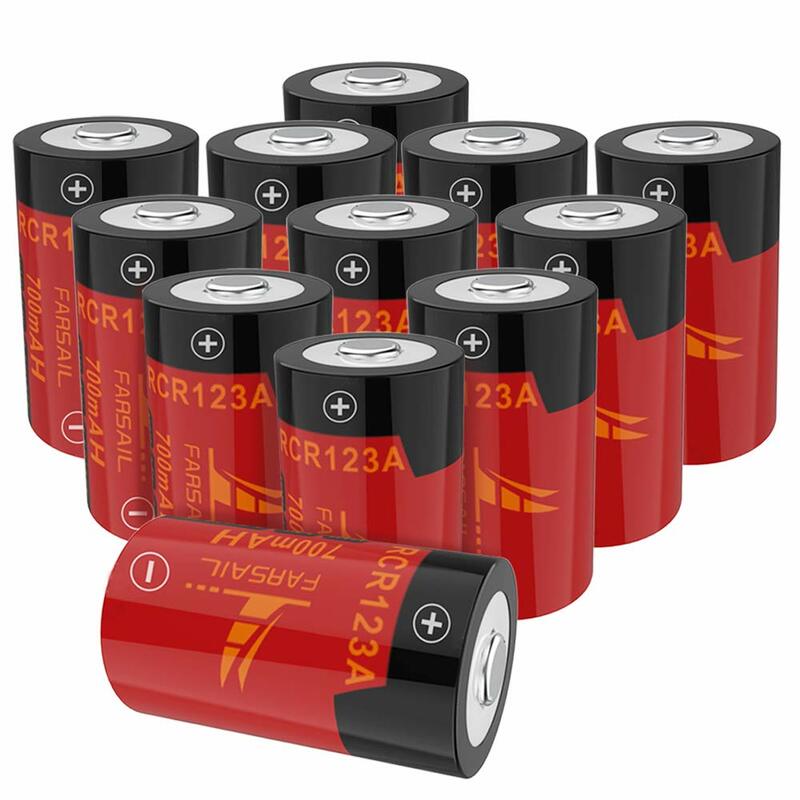 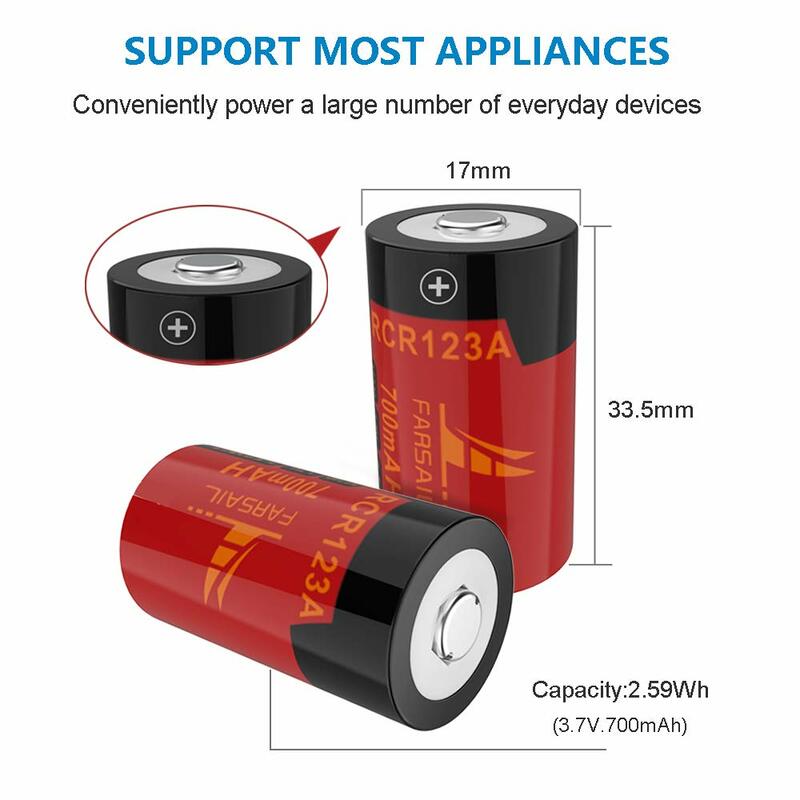 If you don’t love our CR123A battery, contact us and we’ll either replace them or issue you a full refund.